Music is an especially important part of every evangelistic series. Quality music that aids in teaching the Bible lesson is essential. 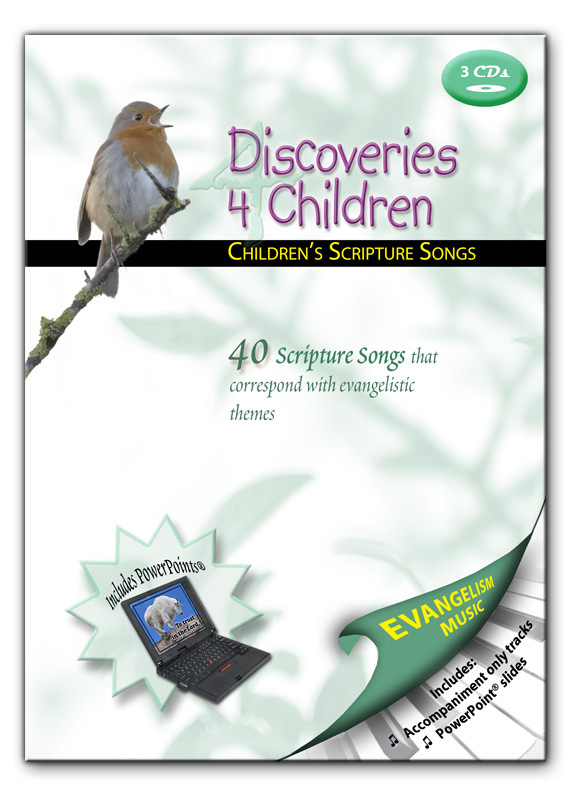 This collection of 40 scripture songs was carefully selected from the 3 year Sing a Bible Verse series by Wayne Hooper for Kindergarten & Primary. Also included is a piano accompianment CD for those times when a piano player is not available. The beautiful music also makes for wonderful and wholesome background music in any Christian home. This set also now includes 40 beautiful Microsoft® Powerpoint® slideshows. Please Note: The vast majority of the scripture songs on this cd are from the King James Version of the Bible. There are a few songs from other versions.